This has to be the coolest little car we have ever had hanging around. 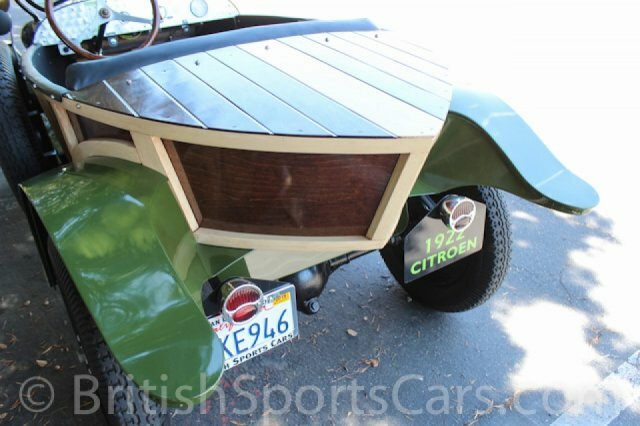 You are looking at a 1922 Citroen Boat Tail. 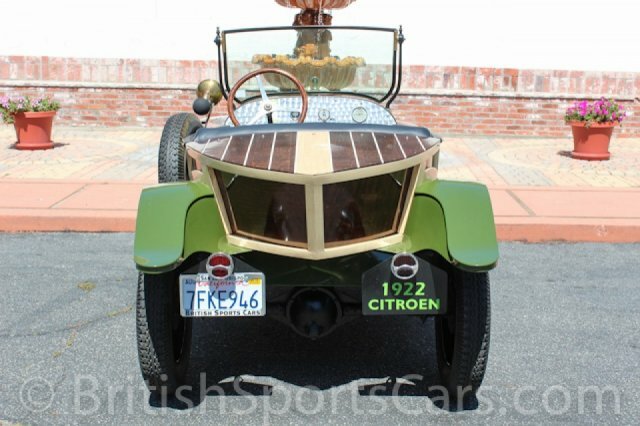 This car has been fully restored to perfection and is just as cool and interesting in person as it looks in the photos. It's not an original boat tail car, but has been modified to what you now see. This is a recent restoration showing very little wear, if any. It's very primitive being that it dates back to the early twenties, but is great for driving around town. It's fairly easy to drive once you get the hang of it. You can't help but smile when cruising around in this thing, nor can the people who catch a glimpse of this unique vehicle. It's perfect for driving around town and taking to car shows. I guarantee you'll be the hit of the show. Please feel free to contact us with any questions you have.